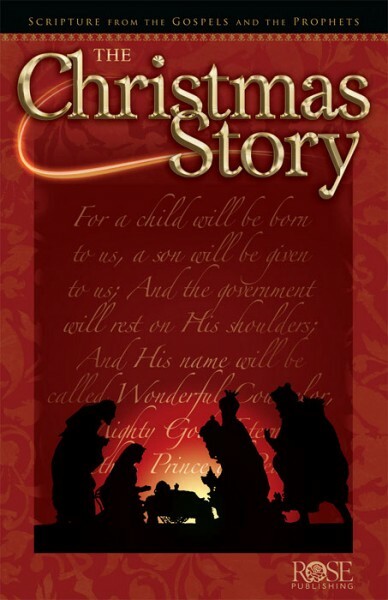 The Christmas Story is the story of Jesus' birth and the fulfillment of Old Testament prophecies can be used at Christmas and as a Bible study to use during Advent. Using traditional wording from Matthew and Luke's Gospels, and beautifully illustrated, this resource starts with the angelic announcement of John the Baptist's birth and the angel Gabriel's visit to Mary. It continues with Mary and Joseph traveling to Nazareth, the birth of Jesus, and the visitation of the shepherds and the Wise Men. It ends with the Gospel story and a forward look toward Christ's second coming. The Christmas Story contains suggestions for Advent celebrations and traditional suggested readings.